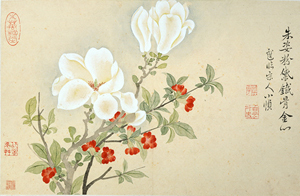 The Abe Collection, which was assembled by former Toyobo Co., Ltd. president Abe Fusajiro and donated by Abe’s son Kojiro, consists of 160 works of Chinese painting and calligraphy. Among the collection’s works of art are four Important Cultural Properties, including Fu Sheng Expounding the Classic by Wang Wei, as well as numerous works that are essential in establishing the history of Chinese painting and calligraphy, for example Landscape with Pavilions by Yan Wengui. This world-renowned collection is one of the museum’s premier attractions. Put together by Yamaguchi Kenshiro, a Kansai-region businessman who served as president of what was then known as the Kansai Trust Bank, the Yamaguchi Collection of Chinese art comprises a total of 224 objects including 125 stone statues, 5 gilt bronze statues. Ranging from Seated Buddha (Northern Weidynasty, 466) to works from the Sui and Tang dynasties, the collection’s stone sculptures are particularly noteworthy and include a series of exceptional, dated pieces that provide an overview of the history of Chinese Buddhist sculpture and set the standard for works of their type. 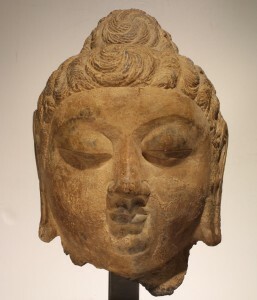 encompasses the breadth of East Asian art with a particular focus on Buddhist art. history, but also arts and crafts such as textile dyeing, gold lacquer, and pottery as well as writing, the performing arts, and economic history. The Sumitomo Collection consists of 20 Japanese paintings produced for an autumn 1943 exhibition entitled “Japanese Paintings from Kansai Area” and then donated to the museum by the Sumitomo family. The works were painted by the Kansai region’s most eminent artists of the day, including Uemura Shoen, Yamaguchi Kayo, Kitano Tsunetomi, and Sakakibara Shiho. 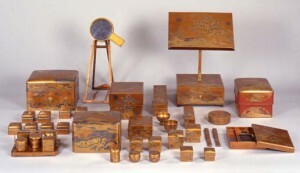 The Casal Collection, which was assembled by Ugo Alfonso Casal, comprises some 4,000 works of Japanese lacquer, mainly makie dating from the Edo period to the Meiji and Taisho periods, including splendid marriage gifts, writing utensils, and accessories as well as works such as netsuke and inro that were rarely collected in Japan. One of only a few collections in Japan that were put together by a European, it is a valuable resource. The Ono Collection consists of 19 Chinese sculptures that were acquired by Ono Jyunzo, the president and chairman of Ono Pharmaceutical Co., Ltd. 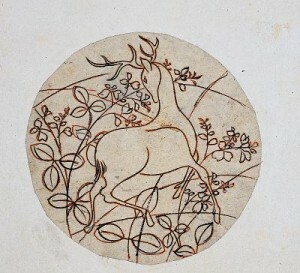 Featuring renowned works dating from the Northern and Southern dynasties to the Tang dynasty from grottoes such as Yungan and Longmen Jingshansidong Cave, the collection highlights the most advanced sculpture techniques of the time. sculpture from Coptic Egypt. 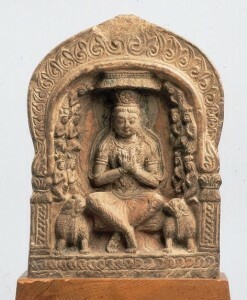 These rare and unique collections provide a unique window on the culture, lifestyles, and customs of their respective times.